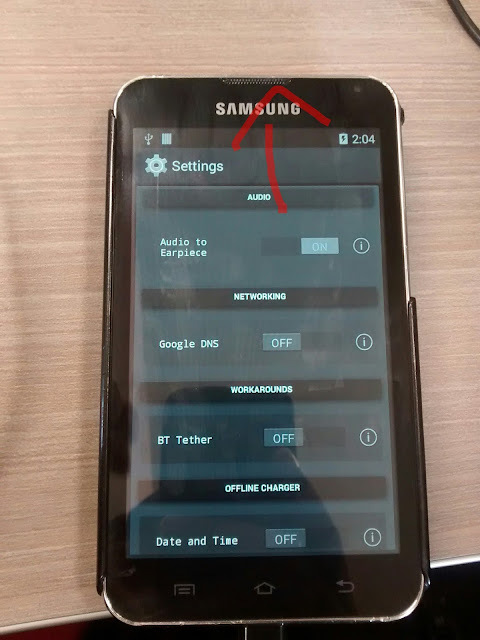 For those of you who have been running custom ROM's, like this one, on your Samsung Galaxy Player 5.0 for a long time, you may have forgotten about a small piece of unusual hardware on this device. Although, the YP-G70 is not a phone it does have an earpiece in the top center of the front of the device and it is functional. I have never heard of another Android device that has an earpiece and is not a phone. It's odd but it does make sense. I don't know any of this for certain but it seem to me that Samsung was trying to come up with a competitor to the ipod and they were already making phones so it seemed like they just took a phone design and modified it into to Galaxy Player 5.0. We have been building Android for this device as a small tablet. I guess that makes sense, after all, if we had built it as a phone, there would be lots of useless phone software on the device ( like the Phone.apk ) but doing it that way renders the earpiece useless. I'm not sure how useful the earpiece can actually be on a device like this but, I feel like if it's there we should be able to use it. So, I build in a switch in "Extras" so that you can route audio that would normally go to the speakers on the back, to the earpiece. If anyone has any idea's about how to make this piece of hardware more useful. Let me know. When I first calibrated the compass for the LP sensor lib it seemed to be working perfectly but I have recently replaced the LCD Screen on my YP-G70. After that, compass was misaligned. It was puzzling and now I have no idea if the compass is aligned properly. All I can say is that it is aligned properly for me. In ICS and JB the rear camera photo snap was not working at all. The dev's that brought up and worked on those ROM's did an excellent job. Bringing up a 3.0 kernel base on a kernel form a different device could not have been easy. But the camera photo snap did not work producing all green pictures. In development of KitKat, I found a way to give the rear camera photo snap some limit functionality. Basically I peeled an image off the preview window just as the front camera does but the resolution was limited to the preview window resolution; 800x840. Although the camera is still not working completely as it should, by adjusting kernel memory allocation for fimc and jpeg drivers, I was able to increase the resolution all the way up to 3MP the default for the US/INT versions of the YP-G70. I never expected to be able to do this; there are just so many moving parts to adjust to make this happen. However, although the images are 'adequate' they are still not what the image sensor is capable of and in addition, the exif data is incorrect; specifically the flash, exposure time, focal length,iso, white balance(?) and aperture fields are derived from incorrect data. From time to time I take a stab at this and every time I learn more so perhaps one day I will have this completely corrected. I have recently had a few breakthroughs in my understanding of how sensors work in Android. Those breakthroughs have allowed me to write a hw sensors library for venturi based on the work I did for codinalte. I had to calibrate the magnetic sensor manually but as far as I can tell, the compass works perfectly. I used codinalte with the stock sensors lib to calibrate and use as a comparison for the compass. When laid flat and parallel to each other, they give very similar cardinal directions. I have not, however, tested the compass with any navigation apps or even google maps, I'm running without gapps. Performance seems greatly improved without them. I think that apps are supposed to adjust the cardinal degrees when the device orientation changes because at the hw lib level, there is know way to know if orientation is locked or not. 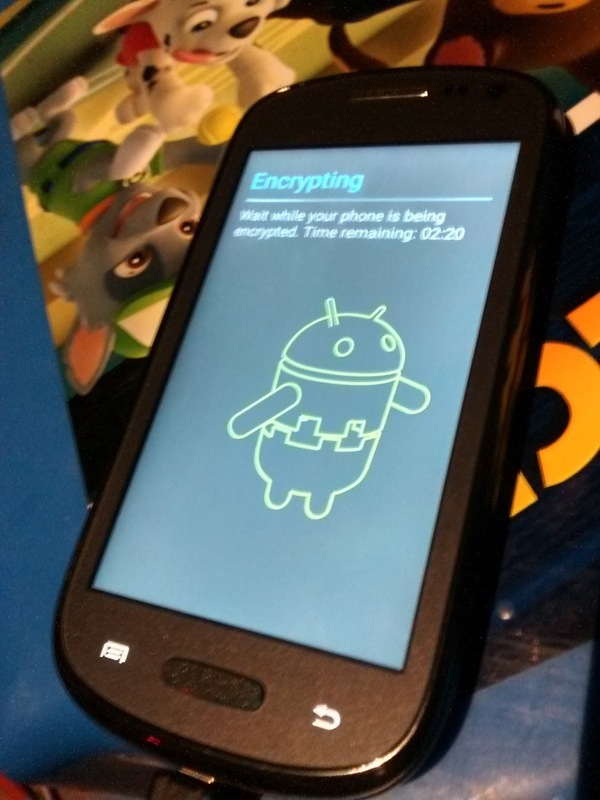 I've had this ROM built for awhile but I did not release it. I've created an update that solves several problems, most notably the camera. I must say the it does not perform well. This is just an old device but, I thought that I would let you decide for yourselves if it is worth running. Perhaps with some tweaking this ROM can suite your purpose. There is an update that solves several issues just flash it after you install the ROM. P.S. Don't forget to install TWRP 2.8.0.0 first. My last release of Carbon KitKat was less than stellar; my apologies to all. I've been working on codinalte but I decided to get back to venturi. For the million'th time I delved into the the camera subsystem. It's a labyrinth with perils, pitfalls and long twisting dead ends. Our 3.0 kernel was build from the kernel of a similar device "crespo" which has a different rear cam (assumption entered). Our camera driver is from the 2.X Kernel that originally came on this device,I think our fimc drivers are from the 3.0 Kernel and our userspace camera lib is from the Galaxy Tab... ugh. However, I did manage to get the rear camera to capture images at higher resolutions. Fixed issues with video recording. Download next build in download section.. The version of dm-crypt in our 3.0.31 kernel is 1.10.1. This version was coded to only accept 5 arguments ( as seen here ). Apparently, in future version of dm-crypt more arguments were added. Vold sends more than 5 arguments causing dm-crypt to return errors. This is easily fixed by simply ignoring the extraneous arguments. Encryption is fixed and completely automated. I recommend using a pattern because TWRP 3.0.1-0 does have issues with pins and passwords. The data partition is automatically resized. Very small resize only 16k. Encryption happens in place so no data is lost, UNLESS you interrupt it. Fixed the hang at "Finishing Boot". SystemUI was getting killed prematurely. Had to do some experimental hacks. Let me know if you have trouble with Apps and the ANR procedure. Fixed the odd behavior of "Network traffic VS" in Carbon Fibers. Due to some sloppy merging there were overlapping vars with the same name! USB clean up USB mass storage might work, but if it does it's only with the external sdcard. Charge only should also work. Due to a logistical error, the patch did not make it into the last update as it should have.